Weekends in my late teens and early 20's used to be about heading out to town and spending the night drinking probably a little too much, dancing the night away and having fun with friends. Three kids and 10 years later and you could say that things have changed slightly. Steve and I still love a good night out when we get the chance (I don't think we'll ever stop enjoying a good pub crawl to be honest) but these are now few and far between. We are strong believers that just because you're married with kids, it doesn't mean the fun has to stop. We really look forward to our Saturday nights in now and Steve will usually cook us a special meal or we'll get a takeaway and play board games with the kids watching X Factor. Yes it's no Saturday night out on the tiles but our Saturday nights in are the perfect time for us to relax and unwind after the busy week with no laptops, working or jobs to do. It's also the one night of the week that will always involve a bottle of wine (or two). It's weird how your wine drinking habits change as you mature. I seriously cannot imagine drinking a bottle of Lambrusco now but I couldn't get enough of the stuff when I was 18 and I would say over the last 3 years or so, Steve and I have definitely started to take our wine more seriously. Back in the day I would just pick up a bottle of the cheapest wine on offer with my weekly shop but again, you won't catch me doing that now. We know what we like and don't mind paying a couple of £ more for something we'll really enjoy. With the whole 'staying in is the new going out' ethos, we joined a wine club for a few years and were able to sample lots of different wines. After 2 years though, we decided this wasn't for us as there were too many wines in there that just weren't for us and we realised that we would be far better off spending cash on wine we knew we'd enjoy rather than taking a risk with 6 random bottles that weren't tailored to our taste every month. Here lies the issue though - we know what we like so we are in a complete wine drinking rut! I will nearly always buy a Sauvignon Blanc or Chilean Merlot. We are huge fans of fizz too and if we see a bottle of English Sparkling wine at a good price, we'll rarely be able to resist buying a bottle. After enjoying far too many bottles at Gidleigh Park a few years ago, we have developed a bit of a passion for English wine but it's something that's pretty hard to get your hands on. Sometimes I might buy something like a Chenin Blanc but I definitely only have around 4-5 types of wine that I always stick to. Although we love all of these wines, things were getting boring and it was time to mix things up a little. Where do you go for advice though? Although I know what I like, I'm definitely no expert and I didn't want to head to one of the large chains that have a 6 bottle minimum order. I just wanted a little guidance with what to try next and definitely did not want to be talked down to or sneered at for liking something as 'unsophisticated' as a Sauvignon Blanc (this has actually happened to me before). This is where the lovely team at the Pip Stop in Lanchester, Durham stepped in to help. 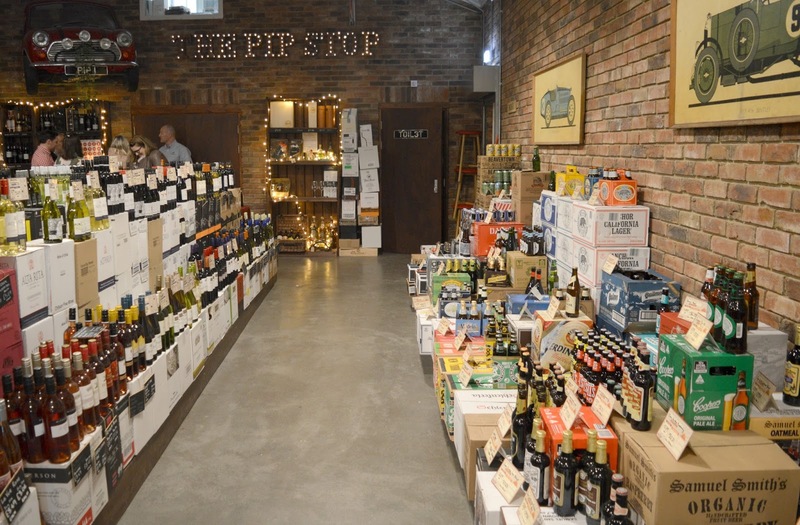 The Pip Stop are a predominantly a wine and craft beer shop/online store but also sell a nice selection of spirits, ciders and gifts. They are my kind of shop! Not at all intimidating and I honestly feel as if they have been created for people just like me. The Pip Stop is quirky, friendly and definitely worth seeking out. There is a wealth of information on their website and I would highly recommend signing up to their newsletter (you'll also receive a 10% off discount code). Their prices are very reasonable too and personally, I find them cheaper than our local Sainsburys. Onto why I really love The Pip Stop though and it's their knowledge that sets them apart. We asked for some recommendations based on what we like and the staff were absolutely spot on with their choices. It's actually scary how they just managed to just 'get' us and never have I been given such good recommendations - even when asking the help of a sommelier at a top restaurant. 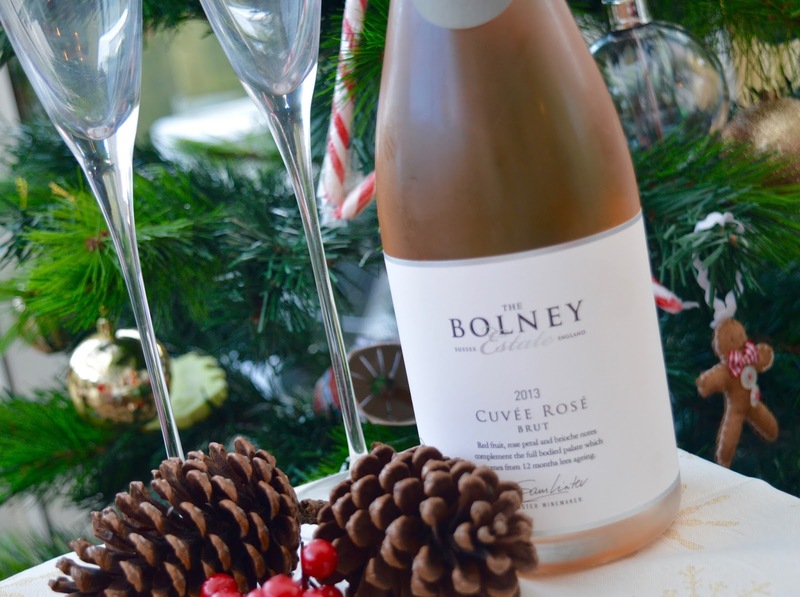 Owner Ben recommended something a little special - Bolney Cuvee Rose Pinot Noir which is a fizzy rose from Sussex. The Bolney Estate have been producing wine for over 35 years and have won lots of awards. I am going to be open and honest here and say that I haven't tried this wine yet as we are saving it for Christmas Eve - I just know it is going to be perfect though and it just the sort of wine I would have picked out but I like that we've been challenged to try something new as I don't think I would have tried a fizzy Pinot Noir and would have stuck with a safer option. I'll share my thoughts on Christmas Eve over on Instagram if you're interested. I am honestly sooooo excited that I have my hands on a bottle of English Sparkling Wine! Christmas Eve can't come quickly enough. We were recommended to try Running Duck Chenin Blanc which is an organic, vegan and fair for life wine. It was very easy to drink and the sort of wine that could easily have led to a second bottle. This recommendation was spot on for us and we'll definitely re-purchase. It is nice to buy something that guarantees fair working conditions for it's producers and I love that the name of the wine comes from the Indian Runner Ducks that are used within vineyards as a natural pest control - I googled this and yes, these are actual ducks that run around vineyards! I love the image this creates in my head. The Pip Stop love this wine so much that they've put their own label to it. Grease Monkey Merlot is very easy to drink and we loved it. I can't believe it is currently on sale for just £5.59. This is an absolute steal! This wine is also Vegan friendly. 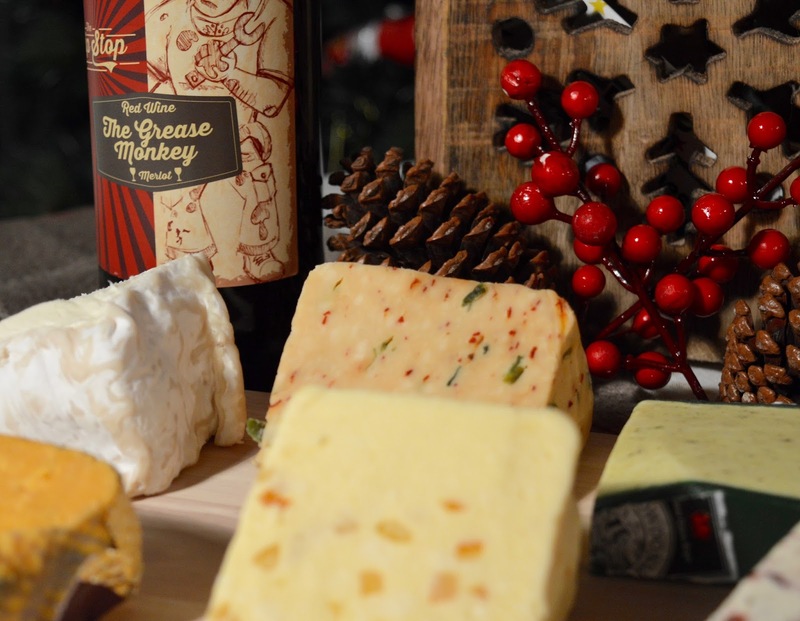 We like a nice glass of red with cheese and paired this with our cheese board from Matthew's Cheese Shop. It was a match made in heaven! 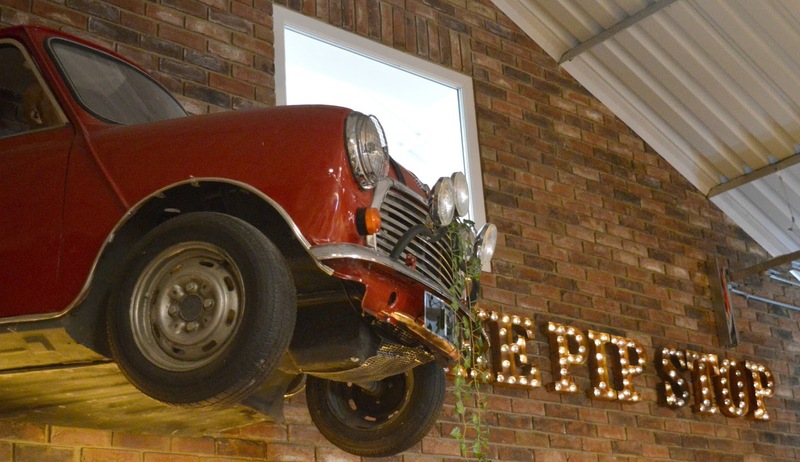 You'll find The Pip Stop in a converted 1950's garage in Lanchester, Durham. They have Mini Coopers embedded in their walls and stock over 300 varieties of wine and over 120 types of beer. They believe that wine tasting should be fun and recognise that wine is subjective. What is perfect for one person, might not be for the next. They also offer a selection of tasting evenings and tickets are available from just £10. 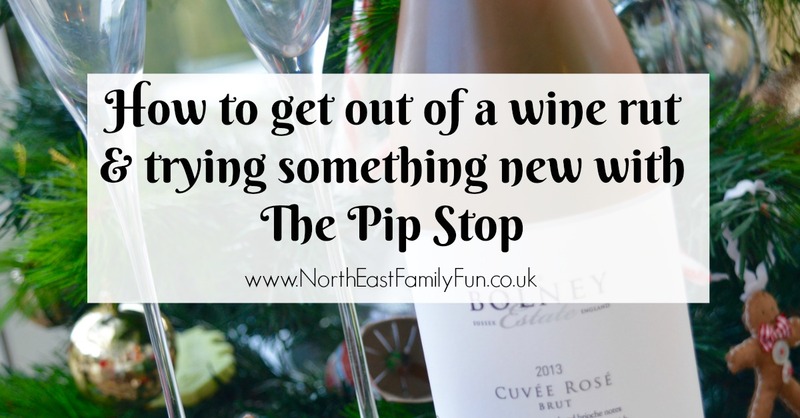 My friend Chloe went along to their Christmas tasting evening - Chloe also mentions some of The Pip Stop's top recommendations for Christmas in her post) and I am insanely jealous! It's times like this I wish I had a babysitter on tap and a private chauffeur! I have been seriously impressed by The Pip Stop and it is so nice to find a local business that really understand what their customers want and just get it so right. I ordered online and chatted via email on this occasion but in the New Year Steve and I will certainly be making the trip to Lanchester to meet these guys in person and pick their brains for a few more recommendations for 2017.